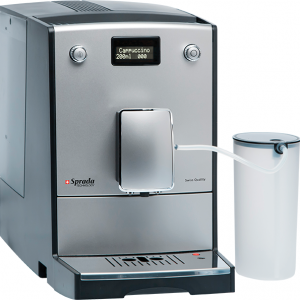 The Swiss manufactured Future TS4 is the most cost effective automatic coffee machine that offers big machine capability. 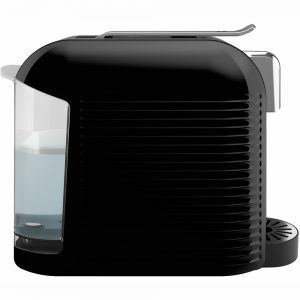 The simplicity of the icon driven display is unrivalled and combined with the 2,2 litre water tank and large used coffee grounds container, make it the perfect choice for coffee lovers who love to entertain. Continuously variable volume, strength and temperature settings combined with the efficiency of the fast heating thermoblock saves energy without sacrificing the uniquely South African taste for the ‘extra hot’ coffee. The machine will automatically enter the low power standby mode when not in use and represents a step change in brewing pleasure. Tags: Coffee Machine, Future, Future TS4. 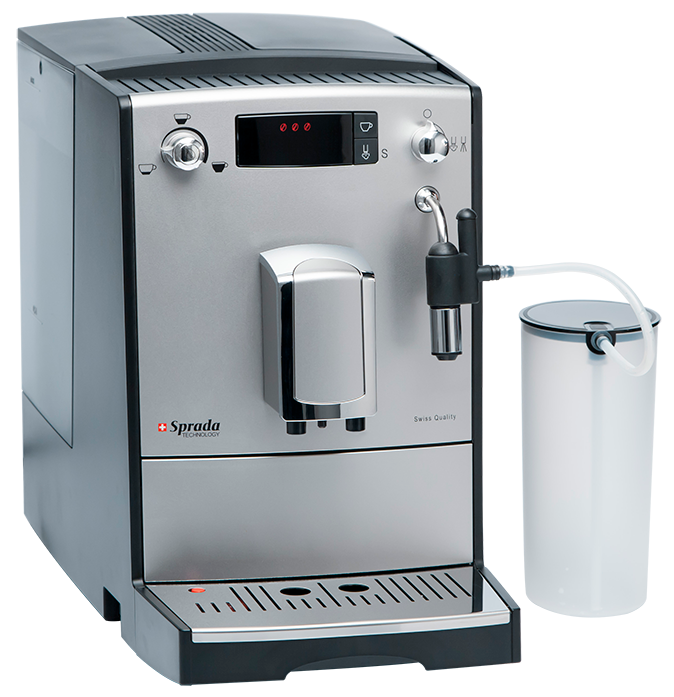 Superior milk texturising with the automatic milk frother, adjustable volume, 3-step strength and 3-step temperature settings , two cup functionality (double press), height adjustable spout (80-135mm), 220g dual-seal aroma lock coffee-bean hopper with finger protection, ultra quiet grinder with grind coarseness adjustment, single-dose ground coffee chute, hot water facility, passively heated cup warmer, easy removable 2.2 litre water tank with filter option, “empty trays” and “fill water” alerts, cleaning and descaling alerts, removable brewing unit for easy cleaning, 15 bar high pressure industrial-grade performance, auto stand-by/off mode for energy efficiency, zero watt power-off design, iconic display with progress bar, cable storage, milk container (850ml) included. Continuously variable volume, strength and temperature settings combined with the efficiency of the fast heating thermoblock saves energy without sacrificing the uniquely South African taste for the ‘extra hot’ coffee. 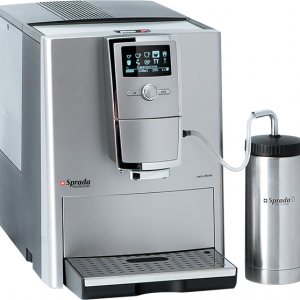 The machine will automatically enter the low power standby mode when not in use and represents a step change in brewing pleasure.